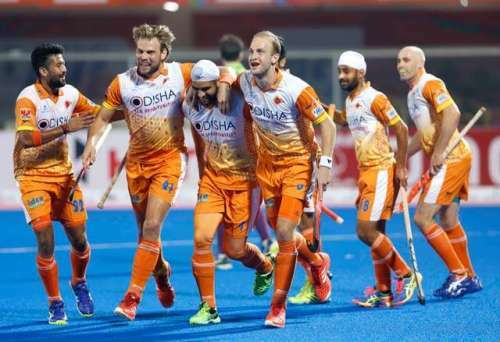 Gurjinder Singh converted a brilliant penalty corner to hand Kalinga Lancers a 1-0 win against Delhi Waveriders, giving last year’s finalists a great start to this year’s Coal India Hockey India League on Sunday. Playing in front of their home crowd, Kalinga Lancers got off to a dominating start. But Delhi Waveriders, led by drag flick specialist Rupinder Pal Singh, gained in confidence as the match progressed but failed to convert some easy chances that cost them the match. It was an entertaining first quarter that saw a great display of man-to-man marking by both team captains Moritz Fuerste and Rupinder Pal Singh, who left little room for their opponents to penetrate their respective circles. Australian Tom Craig, playing his first season of Coal India HIL, too displayed brilliant dribbling abilities that kept the home crowd on the edge of their seats. A golden opportunity to take an early two-point lead was missed by Lancers in the 11th minute of the match when Dharamvir Singh, brilliantly assisted by Billy Bakker, failed to capitalise, with a sloppy attempt sending the ball over the Delhi Waveriders’ goal post. Despite several circle penetrations in the second quarter, it took until 22 minutes of the match for Waveriders to earn their first penalty corner thanks to a quick-thinking Harjeet Singh. The opportunity went amiss, though, with Rupinder Pal Singh improvising from the injection but his attempt was blocked away by the Kalinga Lancers’s defender Matthew Dawson. Delhi Waveriders’ coach Cedric D’Souza would not be a happy man with his team missing out on converting a single goal from as many as seven penalty corners won by their team. On most occasions, it was either their trapping or injection that was a major cause of concern. In the 41st minute, another attempt at PC was whisked away by a charging Amit Rohidas who made no mistake in pushing the ball away from the circle. With the scoreboard reading 0-0, the Kalinga Lancers came out all guns blazing in the final quarter and team captain Moritz Fuerste showed exactly why he is one of the most sought after players in the Coal India HIL, by earning his team their first penalty corner of the match. Gurjinder Singh, who took the strike, did not let his captain down as he swiftly put the ball past Belgian Vincent Vanasch, the Delhi Waveriders goalkeeper. There were some tense moments towards the dying minutes of the match with Delhi Waveriders earning two penalty corners. But they failed to equalise. Kalinga Lancers’s young goalkeeper Abhinav Kumar Pandey’s performance was noteworthy today as he made eight saves and ensured his team walked away with the winner’s points. Lancers' Gurjinder Singh was awarded a prize money of Rs 50,000 for scoring the Coal India Goal of the Match. Waveriders' Mandeep Singh won a prize of Rs 25,000 for being the Young Achiever of the Match. The Most Entertaining Player of the Match was awarded to Amit Rohidas from Kalinga Lancers who came away with a prize money of Rs 25,000. 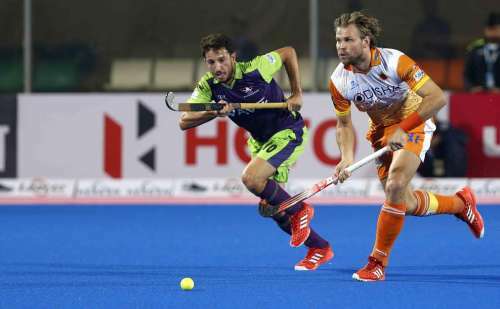 Moritz Fuerste of Kalinga Lancers was declared the Man of the Match with a prize money of Rs 50,000. Kalinga Lancers will next meet Ranchi Rays in their next match on Monday, 23 January, at the Kalinga Stadium in Bhubaneswar at 19:00 hrs.